Carelessness with firearms is an epidemic that is costing far too many lives. While deaths due to negligence or improper handling of guns are often labeled accidental, the truth is that they are avoidable. For example, a man in Texas shot his father-in-law outside a gun show when he was not handling his gun safely. Some people say that guns don’t kill people, the person pulling the trigger does. They can kill you a lot easier with a gun. And what we need is for gun owners to take it upon themselves to work with us to be safer on this. Because right now the status quo sure ain’t working. I know all the nay-sayers are gonna come out and they’re gonna say ‘I told you so.’ This is not ‘I told you so’ this is not ‘I gotcha.’ This is no different than this little incident we saw a day or so ago where two kids were ejected from a vehicle because they weren’t wearing a seat belt. We don’t blame the vehicle for that incident so we’re not gonna blame the guns for this incident. But, I am not blaming the gun. I am blaming the person holding it, as well as a system that allows people to handle weapons without proper training or safety precautions. To compare a shooting death to an incident involving children being thrown from a vehicle is ironic. Safety measures are repeatedly taken to make car accidents less likely, and to make the accidents that do happen less injurious. Yet, gun advocates repeatedly refuse to do the same for guns, despite ongoing efforts from the other side. So, yes it is, “I told you so.” And, sadly, it will continue to be, “I told you so,” as these kind of “accidental” deaths continue to happen. Similarly, gun owners are complicit in a system that allows children to get their hands on guns, often with tragic results. An 11-year-old boy shot himself at Boy Scout camp near San Diego. Details are not in regarding whether the shooting was intentional or not, but he should not have had access to a gun in the first place. Gun owners with children should want to secure their weapons (and keep the unloaded). And again, they have fought regulations that would mandate this. Gun owners need to acknowledge that their weapons can be used to cause great harm to others, whether it is intentional or not. I don’t think this man meant to shoot his father in law, and I don’t think that the gun owner meant for his weapon to end up in the hands of an eleven-year-old boy. But, in both cases, someone is dead, shot by a weapon that was not handled safely or correctly. Dismissing cases like these as accidents devalues the lives that were taken, writing them off as acceptable losses or collateral damage in the imaginary war against gun-grabbers. Gun owners should want other gun owners to store and handle their weapons carefully to make sure incidents like these do not continue to happen. But, as long as they do continue to happen, there must be accountability. Shooting and killing another person, even if it is an “accident” should be a criminal act. A person driving recklessly who crashes and kills someone is prosecuted, and the same should be true for someone with a gun. Likewise, anyone who allows their gun to fall into the hands of a child by not storing it securely and safely should bear the responsibility for whatever that gun is used to do. The gun owner in these cases is an accomplice to the death that resulted from their carelessness. These are not accidents. They are as bad as murder. Negligence is no excuse. Large numbers of Americans have aligned themselves on one side or the other in the debate over guns in this country. But, though each group may appear to be fairly united (and unwavering) in their beliefs, this is not actually the case. Among those in the pro-gun camp, divisions are forming between factions ranging from responsible gun owners endorsing reasonable safety measures to a growing number of radical groups advocating everything from gun hoarding to open carry of semi-automatic long rifles to all-out revolution against the government. Despite these divisions, the truth is that all gun-owners must accept responsibility for the words and actions of all other gun owners. While this may seem unfair, especially for those in the more responsible group, this sharing of responsibility is the only way for gun owners to preserve their beloved right to bear arms. Because irresponsible gun owners attract all the attention, they will drive legislation. And, if they continue to act in ways that frighten and threaten the public, the response will eventually be to place restrictions on them and their guns. And, like it or not, this will affect responsible gun owners. Pro-gun lobbying groups like the NRA are strong, but even they are losing power as public opinion (and the courts) continues to slowly turn against guns. So, in order to preserve their own rights, these responsible gun owners must join the effort to rein in the more extreme groups. Of course, I have pretty vocally supported increasing restrictions on gun ownership, and I would be very happy to see a reaction to gun-extremists that includes new, stronger gun-control laws (as well as increased enforcement of existing laws). But, the realist in me knows this is unlikely to happen. Without the help of responsible gun owners, a far more likely outcome is that gun-control laws remain the same and these extremist groups continue their armed march to the fringes unabated. And this march would likely end with more than a few casualties. Of course, the NRA backed off this surprisingly bold and rational statement after OCT threatened to withdraw their support for the group. But, the fact that they made the statement in the first place shows that someone among gun owners acknowledges that those on the fringe are going too far. 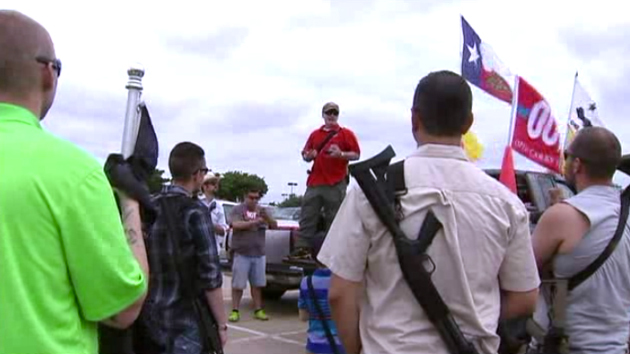 But, open-carry advocates are undeterred. 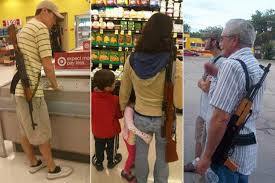 Their demonstrations continue, with the newest trend appearing to be taking guns to Target stores across the country. For you, as an individual, when do you draw your saber? When do you say, “Yes, I am willing to rise up and overthrow an oppressive, totalitarian government?” I hear the clank of metal on metal getting closer, but that’s not enough. The politicians have to hear it too. They have to hear it, and they have to believe it. which come from one of the shooters in the Las Vegas killing spree. This kind of paranoia does not have a rational explanation. But, the language groups like the NRA use to sell guns can easily be twisted by others as an excuse to use them. And, the fight against imagined enemies and tyrants can have very real victims. A final group needing to be addressed is far less malicious, but even more deadly. They are not overtly evil, just foolish, but the end result of their foolishness is heartbreaking. I am referring to people who believe that requiring gun owners to store their weapons safely is somehow an infringement of their rights. This carelessness has led to the deaths of approximately 100 children a year—deaths that are falsely labeled as “accidents,” but are in fact due to blatant negligence. In fact, up to 70 percent of these deaths could have been avoided if the guns involved had been stored correctly. I grew up among gun owners. I know many more. And, the ones I know are otherwise responsible people who just happen to own guns. They know that guns are potentially deadly weapons that must be handled safely and carefully. And, they know that failure to do so can have fatal results. These are the kinds of people who naturally get defensive when the media or anti-gun groups refer to “gun nuts,” as if all gun owners behaved in the same irresponsible way. I think this type of name-calling is not productive. Instead of alienating the responsible gun owners by lumping them in with the fringe groups, we should be appealing to them to help us limit the damage these fringe groups can do. Responsible gun owners should be allies to anti-gun advocates. It is not fair to tar them all with the same brush. But, just like all men, good or bad, are responsible for the behavior of the worst among us (as illustrated beautifully with the #notallmen and #yesallwomen trends on social media), all gun owners are likewise responsible for the dangerous element within their ranks. No, all gun owners are not militants or lunatics. 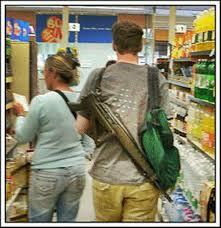 No, all gun owners are not going to carry their scary guns around in public or shoot them at innocents. And, no, all gun owners are not willing to kill or die in the fight against imaginary gun-grabbers or a tyrannical government. 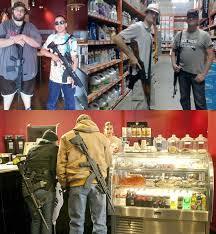 Most are normal people, kind and compassionate and responsible, just with guns. But, to those responsible gun owners: your right to own guns means that radicals also have that right. Your refusal to accept limitations on gun ownership means that anyone who wants a gun can get one (legally or illegally) whether they should reasonably own one or not. Your beliefs and your votes have made their actions possible. So, it is also your responsibility to help keep them from doing harm. Radical gun owners have isolated themselves from anti-gun groups, and there is no real way for our message to reach them. But, you can. You can speak to them, and you can support legislation that will limit their access to guns. You can stop spreading the propaganda that radicalizes them. You can vote for legislators who are not in the pocket of the NRA. And, you can even get rid of your own military-style weapons with high-caliber cartridges and extended magazines that have no real use in hunting or self-defense. You can help us. You can make the country safer. And, you can protect your own right to your own guns at the same time. We are never going to eliminate all guns or the constitutional right to own them, but we can take steps to make sure that they only land in the hands of those who know how to handle them safely and responsibly. And, there are gun owners who can help us in that fight. Illinois Gov. Pat Quinn signed legislation that will help protect the people of his state from gun violence. Two separate pieces of legislation serve as a reminder of the current state of the gun violence prevention debate, as well as a guide as to just how that battle should be fought. First, in Illinois, Gov. 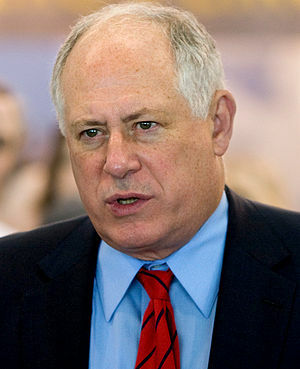 Pat Quinn signed a bill closing the so-called “gun show loophole” in that state. It would also require gun owners to report missing or stolen firearms. These are simple, common-sense measures that can go a long way in helping to keep guns out of the wrong hands. Though permitted gun vendors have long been required to conduct background checks on potential buyers, there was no such requirement for private sales. This enabled those unable to pass a background check to purchase weapons, so long as they bought them from private sellers. It has been estimated that nearly 40 percent of guns are purchased this way, either at gun shows, via online listings, or on the black market. Though this estimate is dubious, it is still indisputable that many guns are sold without the buyer submitting to a background check, allowing those with violent felony convictions, restraining orders, or mental illnesses to purchase guns they should not legally be allowed to have. This is a victory for gun-control advocates, though a small one. There is still much work to be done, but laws like these are definitely a step in the right direction. On the other hand, gun-control folks were handed a defeat in New Jersey, as Gov. Chris Christie vetoed a bill that would have banned a .50 caliber semi-automatic sniper rifle. This is especially upsetting since Christie himself called for a ban on these weapons earlier this year. However, though this is a defeat, it is also a small one. While it may be difficult to justify any reason that any non-military citizen would need such a weapon—which is designed to pierce armor from a mile away—it also must be recognized that these weapons are not responsible for any civilian deaths in America. Due to the size and cost of the rifles (as well as the ammunition), these guns are rare, even among gun enthusiasts. And they certainly are not the kind of gun that criminals can easily carry or conceal. Even though there may be no need for these weapons among the general population, it is obvious that they are not contributing in any real way to the plague of gun violence in this country. So, while this week’s victory was a small one, it is important. And, one can only hope that it is the first of many like it. If other states follow the example of Illinois, much progress can be made in keeping guns from those who should not have them. And, though Christie’s decision is disappointing, these types of losses are acceptable, as they do little to hinder the forward progress of gun safety legislation. It is essential that gun-control advocates focus on the positive steps being taken and accept that there will be bumps in the road. By picking the fights that matter and accepting the losses that don’t, we can continue to gain ground in the battle against gun violence. 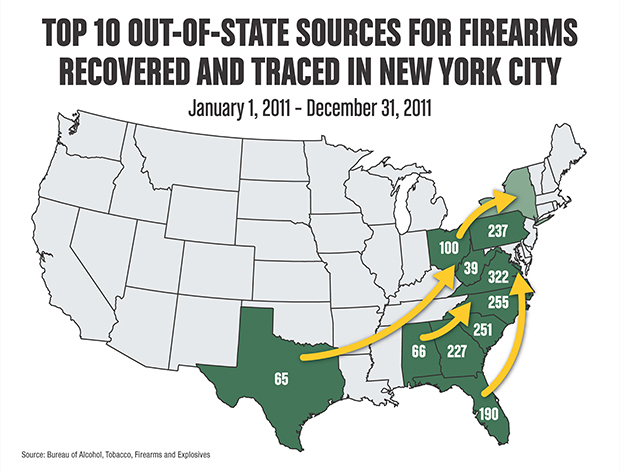 The link is to an article detailing that 90 percent of all guns used in crimes in New York City come from outside the city. This is largely due to strict gun laws in the city that make it difficult for criminals to legally purchase guns there. So, guns are brought in from states with looser laws, largely through straw purchasers, buyers able to pass a background check who then transport the guns to New York (or other areas with strict gun regulations) and sell them to people who would not pass a background check. The results of the study seem pretty clear: strict gun laws are effective in making it difficult for criminals to purchase guns. If similar laws were passed nationwide, even the straw purchases that bring guns into cities would be limited. Now, as far as tweeters go, I’m a tiny fish in a great big ocean. I have fewer than 70 followers (and most of those are probably fake), so most of what I tweet goes largely unnoticed. But, somehow, this one drew a bit of attention. @PRoseish Yes, but if criminals must go to states with lax laws to buy guns, strict universal laws means fewer criminals buying guns. Now I was beginning to see what I was dealing with. This shows that he wasn’t getting the point that the article was making. Yes, criminals can go get guns on the street corner. The point of the article was that the guns that ended up on the street corner (and then in the hands of our hypothetical criminal) came from somewhere other than New York City. And it is precisely because of the strict gun laws in the city that those guns have to come from elsewhere. Making these regulations universal throughout the country would make it just as difficult for criminals to purchase a gun in Virginia (or any of the other states mentioned in the article) as it is in New York, and would therefore help limit the availability of guns available in the city to anyone who could not pass a background check. And, though this would not eliminate all illegal guns in the city, it could drastically reduce their number. @PRoseish Nothing will eliminate all crime. The idea is to make it more difficult for criminals to get guns. Stricter laws would do that. This line of argument is similar to the NRA talking point that “The only thing that can stop a bad guy with a gun is a good guy with a gun.” The implication here is that a criminal is intent on committing a crime with a gun, but because loose gun laws in Virginia mean that it is possible that people there could be armed, he instead goes back to New York, where tyrannical gun laws have left the people defenseless. @PRoseish That’s ridiculous. The reason is because he’s a criminal from NYC, so the crime occurs in NYC. He just gets the gun elsewhere. I think Mr. Cracka (and the handful of other tweeters who had by now joined the debate) picture a guy in New York City so determined to commit a crime with a gun that he drives hundreds of miles to Virginia, finds a private seller (or illegal seller) to buy a gun from, and then drives six hours or more back to New York city to commit his crime. That is not the problem the article is addressing. What is happening is that someone is legally buying lots of guns in Virginia, then taking them to New York and selling them (likely at a profit) to people there that cannot pass a background check and would not otherwise be able to purchase a gun. @wordsnotbullets @PRoseish how? If it's a handgun that is purchased legally, it must be from the person's state of residence. To clarify, legal guns are not the issue. No one, anywhere, said anything about legal gun purchases. The article, and all of my tweets, were specifically about guns bought illegally or through straw purchases that should be illegal. However, this has been a common cause for confusion. I have often been told that because gun dealers require background checks or because guns cannot legally be sold across state lines that there is no more need for new legislation. But, the entire point is that guns are too easily obtained illegally, and therefore legislation is needed to prevent this. As it stands now, private sales in most states do not require background checks and nothing prevents straw purchases. These are what must be addressed. Legal gun sales are not the problem. The response from the first Mr. Cracka showed both a lack of basic understanding of criminal causation and a healthy dose of condescension. 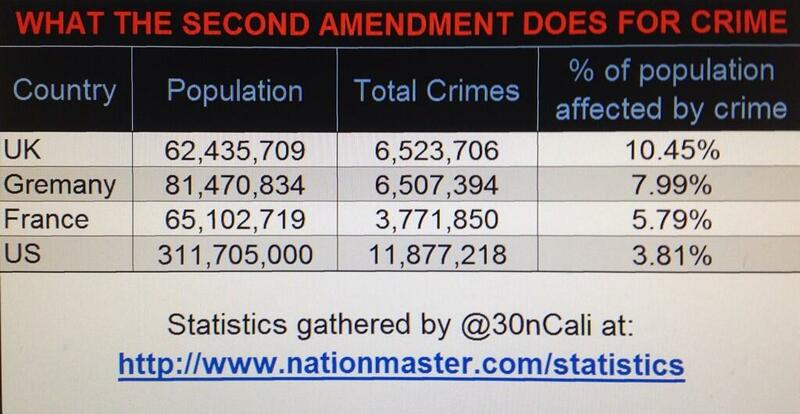 So, for gun advocates the only thing that causes crime is an unarmed populace. If only everyone had a gun, no one would commit crimes. Things like racial and economic oppression, underfunded schools, police profiling, a failed war on drugs, or any of dozens of other factors have nothing to do with it. It’s all about guns. Got it. @PRoseish Why couldn't law-abiding get guns? Laws about background checks and trafficking would not hinder that. You're debating a child, @PRoseish – @wordsnotbullets just ignores the points she can't refute and blames you for crimes in the ghettos. Not to generalize, but this is a common line of attack from pro-gun folks. First, call the opponent a child. This implies that I am naive and uninformed, which are the only possibly explanations for why I might want to keep guns away from people who are using them to kill other people. Second, call me “she.” This furthers the stereotype of gun advocates as masculine tough guys and gun opponents as feminine and weak. These are both flawed and highly offensive arguments, but unfortunately not uncommon. This again perpetuates the myth that the only thing that can stop criminals is an army of well-armed private citizens. Passing gun regulations (which would do absolutely nothing to limit gun ownership by law-abiding people) would somehow leave criminals free to commit their crimes unimpeded. This is consistently the most often repeated argument against gun control, but it is among the most flawed. Background checks, laws against straw purchases and trafficking, and even registration (which we’ll get to in a moment) would in no way keep gun owners from legally purchasing their guns. 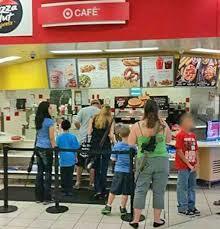 Along with the illusion of a citizenry stripped of its weapons is the dual fantasy that no one is safe from imminent attack and that these gunslingers can somehow successfully thwart any attack through the miracle of gun ownership. This fantasy persists despite evidence that the crime rate has been falling consistently for two decades, guns are rarely used in self-defense (fewer than 50,000 times a year, rather than the NRA-endorsed number of more than two million times annually), and that guns are far more often used for intimidation than self-defense. And, if I’ve learned anything in my time researching this issue, it’s that you can always trust a graph that doesn’t bother to spell “Germany” correctly. But, it’s also important to note that “crime” is not defined in any way specifying a violent crime where a gun would be an effective means of self-defense. However, this graph is actually a good demonstration of one of the biggest problems in the gun debate. Anti-gun folks like me can point to various causes for a 20-year decrease in the American crime rate that mean guns are less and less necessary for self-defense. But, gun advocates can point to the same crime rate drop and attribute it directly to the increased number of guns owned by our citizens. Both sides can be completely convinced that their reasoning is correct, and both can be completely impervious to any argument. @wordsnotbullets how does that fit with "the right of the people to keep and bear arms shall not be infringed"? Or, define" infringe". In retrospect, I’m surprised that it took this long for someone to invoke the hallowed Second Amendment. But, the question raised is valid, to a point. Yes, the Supreme Court has determined that the “right to bear arms” does extend to private gun ownership. However, they have also determined that regulations on ownership are constitutional and do not amount to “infringement.” This second point is largely lost on gun advocates who like to interpret the Second Amendment to mean that no gun regulations of any kind should be allowed. They ARE "@wordsnotbullets: @BigFatDave Laws already exist to keep guns away from criminals. They just need to be universal." This is another fallacy. Many gun advocates argue that gun laws are universally strict, which is not the case. Recent laws in Maryland, Connecticut, Colorado and New York, along with older laws in California, are far more strict than federal gun laws. Additionally, individual cities often make their own regulations that far exceed those of the nation as a whole. @dthurston @BigFatDave Obviously not true. Laws differ from state to state, and often from city to city. @dthurston @BigFatDave That's not the point. The point is that plenty of places don't check whether a person is prohibited. NICS is the National Instant Background Check System, the method used by licensed gun dealers to determine whether a potential buyer is legally allowed to purchase a firearm. This process, by law, can take no longer than three days, but because many of these background checks are now done online, it can take as little as a few minutes. So, to be clear, having to wait a few minutes (or even a few days) is a huge infringement on Mr. Fat Dave’s constitutional right to be armed to the teeth. @BigFatDave How does seller know where you got your gun? Why object to BGC if you will pass? @wordsnotbullets because I'm a citizen, I shouldn't have to ask permission from "great white father" to exercise a fundamental human right. @wordsnotbullets can I object to a delay? False+ on NICS adds an errand for me at a minimum, and is obviously/non-arguably infringement. @BigFatDave So, inconvenience equals infringement? That's a stretch. First, claims of Super Geniuses aside, there is no proof that Martin Luther King Jr. ever said these words. They have been largely attributed to him, but there is no record of them in any of his writings or speeches. He did say, “justice too long delayed is justice denied” in his famous Letter from Birmingham Jail (though he himself was quoting Supreme Court Chief Justice Earl Warren), but that does not have the same meaning as the quote used by TL671. But, let’s assume for a moment that he did say, “A right delayed is a right denied.” Is it at all reasonable to believe that the most famous and vocal advocate of non-violence in American history would have been in favor of eliminating all restrictions on gun ownership? Of course not. Still, it’s a catchy quote. It’s just too bad for the gun folks that it’s a fabrication. @BigFatDave @dthurston I'm for registration. I just didn't want to spark the confiscation paranoia & was trying to keep the debate rational. After all the back and forth, the issue of gun registration is somehow a “non-starter.” This is another part of the pro-gun argument that has long puzzled me. We register our cars, our software, our gadgets and appliances, we give our personal information to our employers and to social networks, yet under no circumstances should anyone know who owns any of the estimated 300 million guns in this country. Why would any legal gun owners have any objections to registration? There is only one answer: the fear of confiscation. Though no gun proposal has even hinted at such a thing, it is a common belief that the government is “coming for their guns.” So, even though registration would help track guns used in crimes, limit illegal sales and purchases, and punish lawbreakers, an imagined fear has made even the thought of it enough to send gun folks running for the hills. The linked article describes an incident in Canada where flooding caused people to evacuate their homes. Police then searched the evacuated area for victims or survivors of the flooding. As they entered people’s homes, they confiscated any firearms that were left unsecured or out in the open to prevent them from “falling into the wrong hands.” The police announced plans to return all seized guns to their owners. Got that? In a country with an entirely different legal system, unsecured weapons were taken by the police for safekeeping when homes were evacuated, with plans to return them to their owners as soon as possible. Don’t you see how that means that the government wants to use registration to confiscate all the guns in America? Don’t you see? I called it “confiscation paranoia,” but I probably should have used a stronger word. So, after all these tweets (and many, many more that I didn’t include) where are we? Has any progress been made in the gun debate by either side? Have I convinced them to lay down their guns (or at least to register them)? Have they convinced me to take up arms to protect myself from a tyrannical government? The answer to all these questions is no. Not one mind has been changed. No progress has been made. We are no closer to solving the problem of American gun violence. If anything, my opponents and I are each more firmly entrenched on our side of the debate. Just as I spent thousands of words debunking their arguments, they could surely do the same to mine, handpicking data to back their arguments. I’m no expert. I’m just a guy who wants people to stop getting shot and killed. And War Kitten Cracka, Big Fat Dave, Azz Hoe Cracka, Doug, and TL671 are just people who want to own as many guns as they can without any possible interference or inconvenience from the government. It’s just a matter of priorities and ours are clearly in different places. And the more we debate, the further apart we get. So, it’s a stalemate. We’re no closer to a solution, so thousands of Americans will continue to die each year. Families will mourn, protesters will march, politicians will give speeches, and the debate will continue, going nowhere. As long as guns and a dubious “right to bear arms” matter more than actual human lives, those lives will continue to end. And, that is a tragedy. Since writing this post, it appears that War Kitten Cracka’s Twitter account has been suspended, and Azz Hoe Cracka has changed his name to MustachioedPistachio. This boy did not have to die, and there is plenty of blame to go around. Trayvon Martin is dead, and the man who shot him has been cleared of any wrongdoing in his death. In the aftermath of this heartbreaking and infuriating decision, it is difficult to find the appropriate target on which to focus the outrage over the injustice in letting a killer go free. Of course, the most obvious target is George Zimmerman, the confessed shooter who followed an innocent teenage boy, engaged him and then shot him after a physical altercation. The questions raised by his actions are numerous. Did he target Trayvon just because of his race? Why did he keep following Trayvon after the police told him not to? Why did Zimmerman get out of his car to confront him? Why did he need to have a gun? There are so many questions, but in the end, they may not matter as much as the question raised by the Florida legal system: Why is it okay to kill a black kid for no reason? (As an aside, I find it interesting how the two principles are addressed by the media and other followers of this case. Trayvon Martin is almost universally called by his first name, while George Zimmerman is almost always identified by his surname. To me, this reflects a sense of familiarity to the former; Trayvon was a kid, just like kids we all know. He walked to the store, bought candy and a drink, called a friend on the phone, and put up his hood against the chill of a rainy night. He got scared by a man following him and when confronted, he defended himself. None of this is unusual behavior. Any of us would have reacted the same way. And, as much as we all know someone like Trayvon, Zimmerman seems foreign to us. He saw a black youth walking through a neighborhood that was supposed to be safe and instantly saw him as a threat. His unfounded suspicions led him to follow the teenager, call the police and then continue to follow him against their orders. He exited his car, carrying a gun, to confront a kid doing nothing more than walking home. And then, when the confrontation turned physical, he used his gun to shoot and kill him. This behavior doesn’t make any sense to most people, hence the non-familiar use of his last name. But, as much anger as I have toward George Zimmerman, he is not the only perpetrator of this terrible crime. Equally responsible are the culture that led him to carry a gun in the first place, the laws that emboldened him to pull the trigger, and the court that absolved him from any wrongdoing. Gun advocates, with their hyperbolic rhetoric, have created an environment where their supporters see a threat around every corner and in every home. Despite decreasing crime rates, fear is escalating. Homeowners are told that guns are the only way to protect their homes from killers and thieves. Women are told that only a gun will prevent them from being sexually assaulted. According to this skewed worldview, the police cannot be counted on for protection. Only if everyone carries a gun can anyone be truly safe. And escalating profits for gun manufacturers and proposals encouraging increased gun ownership show that this rhetoric is working. On its face, a law that allows someone to protect himself from an attacker may make sense. But, what Zimmerman did was not self-defense. His act was one of aggression. He pursued his target, first in his car and then on foot. He caused the situation that resulted in a dead young man. And, while it may be possible that he did not intend to kill Trayvon, but rather hoped to chase him away, the fact remains that Zimmerman’s actions directly led to his death. He must bear responsibility for that. According to the jury’s interpretation of Florida’s laws, George Zimmerman was not guilty in the killing of Trayvon Martin. That does not mean he is not actually responsible. It just means that the law is severely flawed. Any law that protects the aggressor rather than the victim, a gun owner instead of an unarmed teenager, and a white (or, at least, not black) man over a black man is a law that has no place in a just society. But, the fact that the acquittal of a confessed killer can be seen as a victory in some circles shows that our society is far from just. And, that this victory can even be celebrated by some shows just how far off track we have gotten. There should be no joy in the death of an innocent boy, regardless of his race, age, or the circumstances surrounding his shooting. Any death is a tragedy, but especially one that could have been so easily avoided. Placing the value of gun ownership above that of a human life is unfathomable, yet that is exactly what has happened in the minds of those who favor the laws that allowed this travesty of justice to happen. There are many fingers to be pointed in this tragedy. There is a killer and a gun culture that provoked his behavior and a legal system that enabled it. They are all to blame. Zimmerman may have escaped punishment, but that doesn’t mean the fight is over. Unjust laws must be repealed and new, just ones must be enacted. Rationalism must trump fear so that people don’t feel compelled to own and use guns against imagined threats. 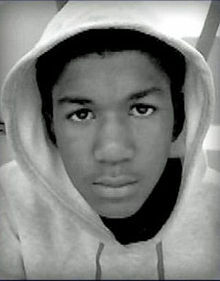 Trayvon Martin’s life has ended, but the movement to prevent things like this from happening again is just beginning.